I don't see what you guys are complaining about... there's a $100,000 quilting challenge with your name on it. Woooohooo! Gunna get mah quilt on! WHOA!!! 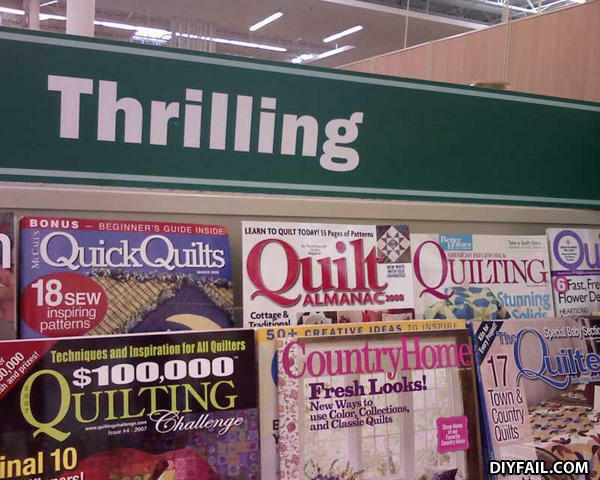 I can win $100,000 just from QUILTING?!?! Sign me up!!! My great grandfather died in the holocaust. He fell off the guard tower.